This week’s featured board member is Megan Ryan. 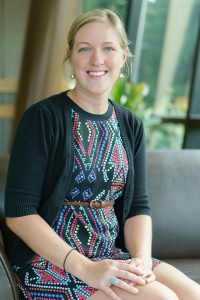 Megan is a FWCC alum and serves as our secretary on the board of directors. She is a special education teacher at FWCS Towles Montessori and is entering her 8th year of teaching. She was born and raised in Fort Wayne and graduated from Saint Mary’s College in 2009, with her undergraduate degree. She obtained her masters in Special Education at The University of Saint Francis in 2014. In between her undergraduate and graduate work, she spent a large amount of time teaching in Ghana, West Africa. She is also a member and volunteer at the Southwest Conservation Club, and co-owner of Southwest Honey Company, where she gets to spend all of her free time caring for honey bees and managing their pollinator education programs for the community. 1- Why do you volunteer with FWCC? I have been associated with the FWCC since I was in 5th grade! I was overjoyed when I was asked to be a part of the board 4 years ago. I first got engaged with the choir because of my music teacher in elementary school. She encouraged me to audition, and I never looked back. 2- What were you most surprised to learn about FWCC after getting involved? I have always known, all these years, that the adults who work with FWCC work hard. But man oh man! Once I joined the board, I really got an inside look at what it really takes to make such a phenomenal organization find the success that it has. Kudos to all the staff, directors, board members, and volunteers! 3- Why do you think FWCC is important to our community? The FWCC is essential to our Fort Wayne community for three simple reasons: educational excellence, fostering of cultural appreciation, developing relationships (the music is the tool used to do all three of these-and beautiful music at that). These are three things that every child should be exposed to and assisted in developing during their childhood. 4- What is your favorite FWCC memory? My favorite FWCC memory is our tour trip to England when I was in 6th grade. I can still remember it like it was yesterday. I was lucky enough to have my mom and my grandmother along for the trip, and I got to room with my good friend, Becky Caywood. In one short trip, my life was forever changed- my love for travel, the world around me, and soaking up different cultures would never be the same!